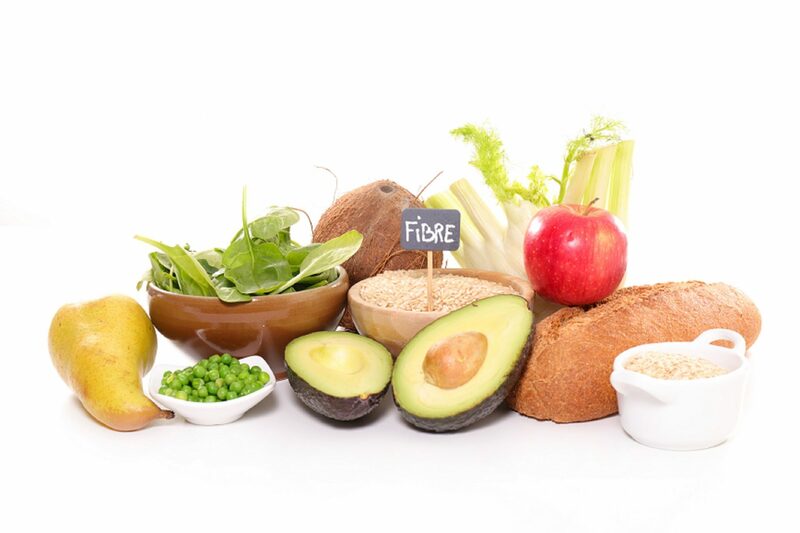 Dietary fibre includes the parts of plant foods our body cannot digest or absorb – unlike other food components, such as fats, proteins, and carbohydrates — which our body breaks down and absorbs. Instead, fibre passes relatively intact through our digestive system and out of your body; taking some undesirable substances with it. Soluble fibre (which forms a gel-like material in water), can help lower blood cholesterol and glucose levels. 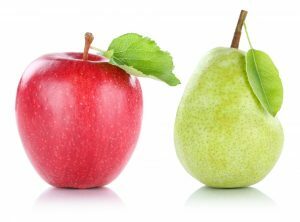 This form of fibre is found in peas, apples, citrus fruits, carrots, barley, and psyllium husk. Insoluble fibre (which promotes the movement of material through your digestive system and increases stool bulk), can be of benefit to those who struggle with constipation or other Gastro Intestinal (GI) inconsistencies. Whole-grain products, nuts & seeds, and most vegetables & fruit are good sources of insoluble fibre. Of note, most plant-based foods, such as oatmeal and beans, are a good source of both soluble and insoluble fibre. And as expected, the amount of each type varies in different plant foods. To receive the greatest health benefit, it is recommended we eat a wide variety of high fibre foods (and all foods tolerated well by our bodies, for that matter). An important fact to keep in mind is that animal products do not contain any fibre. Eggs and fish, for example, are amazingly healthy (and fantastic protein sources) but they’re completely fibre-free. So plants to the rescue for this important nutrient! 1. High fibre foods help keep you full. 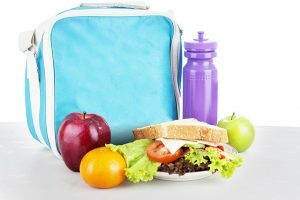 You’ve likely heard it before – “minimize hunger by choosing high fibre and high volume carbs”. In other words, if you find yourself still very hungry after eating your recommended daily intake of protein, fat, and carbohydrates, you may want to switch up your food choices to help boost your fibre intake. Carb options that are higher in fibre will digest and absorb more slowly than those lower in this nutrient, thus helping us feel fuller, longer. Fruits, vegetables, beans & legumes, and whole grains are all high in fibre, and will do much more to satisfy your hunger than sugary cereals, desserts, and other low-fibre/ high carb foods. In addition to this slow and steady digestion quality, foods high in fibre tend to take longer to eat. This often translates into a decreased likelihood of over-consumption, due to our body having more time to register you’ve eaten. High-fibre foods also generally take up more room in our stomach and tend to be less “energy dense,” which means they have fewer calories for the same volume of food. 2. High fibre foods support healthy digestive habits. Dietary fibre increases the weight & size of our digestive end product, making it easier to pass and decreasing our chance of constipation. If loose, watery excrements are a concern, fibre may help to solidify the situation because certain forms (namely soluble fibre) absorbs water and adds bulk. Additionally, a high fibre diet may lower our risk of developing hemorrhoids and small pouches in our colon (commonly referred to as diverticular disease). Some fibre is fermented in the colon and researchers are looking at how this may play a role in preventing disease in this area of the body. However, at this time the evidence that fibre reduces colorectal cancer is mixed. 3. A high fibre diet can help improve important blood markers. Cholesterol – Soluble fibre may help lower total blood cholesterol levels by lowering low-density lipoprotein, or “bad,” cholesterol levels. Blood Sugar – fibre (particularly the soluble variety, once again) can slow the absorption of sugar and help improve blood sugar levels. Studies also have shown that high-fibre foods may have other heart-health benefits, such as reducing blood pressure and inflammation. 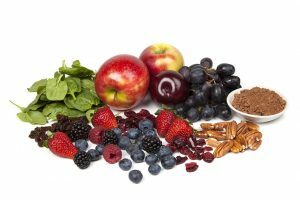 All-in-all, fibre is a very beneficial nutrient to focus on when looking to improve important blood markers that impact our health. • Kick off your day. For breakfast choose a high-fiber breakfast cereal — 5 or more grams of fiber a serving. Opt. for cereals with “whole grain,” “bran” or “fibre” in the name. Or add a few tablespoons of psyllium husk to your favourite cereal. • Switch to whole grains when possible. We encourage you to try to consume at least half of all grains as whole grains. Look for products where the first ingredient listed is whole wheat/ oats/ rye/ barley/ grain corn (if tolerated), brown rice, wild rice, or bulgur. • Bulk up baked goods. Substitute whole grain flour for half or all of the white flour when baking. Try adding crushed bran cereal, psyllium husk, or uncooked oatmeal to muffins, cakes and cookies (again, if tolerated). Good candidates are typically relatively dense bars, muffins, and loaves. • Lean on legumes. Beans, peas, and lentils are excellent sources of fibre. Add kidney beans to canned soup or a green salad. Or make nachos with refried black beans, lots of fresh veggies, whole-wheat tortilla chips and salsa. • Eat more fruit and vegetables. 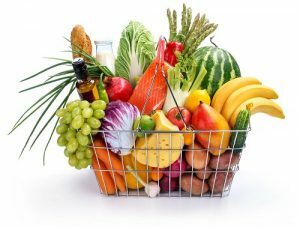 Fruits and vegetables are rich in fibre, as well as vitamins and minerals. Try to eat five or more servings daily, with an emphasis of high fibre veggies. • Make snacks count. 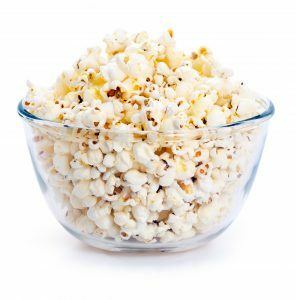 Fresh fruits, raw vegetables, low-fat popcorn, and whole-grain crackers are all good choices. An occasional handful of nuts or dried fruits also is a healthy, high-fiber snack — although be aware that nuts and dried fruits are high in calories. High-fibre foods are good for our health. But adding too much fibre too quickly can promote intestinal gas, abdominal bloating, and cramping. Increase fibre in your diet gradually over a period of a few weeks. Also, drink plenty of water. Fibre works best when it absorbs water. 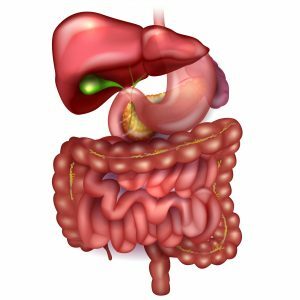 If you’re interested to learn more about the important pillars in digestive health (Hint – there are three), we encourage you to give our blog on the topic a read. Cheers to happy tummies and joy-filled times!